Our composition contains B complex is a dietary supplement that contains B vitamins: B1 (thiamine), B2 (riboflavin B6, B9 (folate), B12. Also found naturally in a number of foods, B vitamins help the body to produce energy and form red blood cells. Proponents suggest that taking a vitamin B complex may help treat or prevent certain health problems. Minerals support bone health, activate enzymes and produce energy. Minerals are required for hundreds of crucial bodily structures and functions. Yet even when the diet is rich in minerals, many people may not properly absorb or assimilate minerals. Calcium is well-known for bone health, but many other minerals are known to have an established role in human nutrition. A good multi-vitamin or multi-mineral supplement is the best way to ensure you're getting all the minerals you need in an absorbable form. Most multi-vitamins and bone formulas also contain all the necessary nutritional co-factors needed for the body to absorb and use minerals. Grape seed extract is an industrial derivative of grape seeds, extremely rich in antioxidants and oligomeric proanthocyanidin complexes (OPCs). The extract has been linked to a wide range of possible therapeutic properties including healing wounds and treating conditions such as high cholesterol, atherosclerosis, macular degeneration, poor circulation and nerve damage. Ginseng is any of eleven different species of short, slow growing perennial plants with fleshy roots. Ginseng is believed to restore and enhance normal well-being. Ginseng is one of the most popular herbal remedies in the world today. Ginseng is used for low iron in the blood (anemia), diabetes, trouble sleeping (insomnia), nerve pain, fever,blood and bleeding disorders, painful joints. Ginseng can be used to improve the health of people recovering from illness. It increases a sense of wellbeing and stamina, and improves both mental and physical performance. Ginseng can be used to help with hepatitis C, and symptoms relating to menopause, and can also be used for lowering blood glucose levels and controlling blood pressure. Ginseng has been shown to reduce the levels of stress in both men and women. Those that take ginseng regularly are able to withstand higher amounts of physical and emotional stress. Ginkgo biloba is a powerful antioxidant and is well known for its powerful action to enhance circulation, even to the smallest of body parts, and apart from helping with the blood flow, it is thought to also make the blood less sticky. It is also sometimes referred to as GBE (Ginkgo Biloba Extract) Because of its powerful effect on brain, mood and mental functions, it is also referred to as the "smart herb" and is great for reducing high blood pressure, inhibiting blood clots and as an anti- aging supplement. Ginkgo biloba improves brain functioning by increasing the cerebral and peripheral blood flow, the circulation and oxygenation. It is used to treat depression headaches, memory loss, boosting short-term memory, vertigo, tinnitus, leg cramps, asthma, eczema, heart and kidney disorders. The leaves of this herb have been used for thousands of years and contain ginkgolides and heterosides, but need to be taken for some time for the full effect to be felt. Bioflavonoids are a group of plant pigments that are responsible for the colors of many flowers and fruits. Citrus bioflavonoids are those bioflavonoids, or flavonoids, found in citrus fruits such as lemon, orange, tangerine, grapefruit, etc. Citrus bioflavonoids have been investigated for their biological activity, with both anti-inflammatory effects being reported. Flavonoids are a subset of a larger group of beneficial plant substances known as Citrus bioflavonoids used to be referred to collectively as vitamin P (the P standing for capillary permeability factor). Bioflavonoids enhance the action of Vitamin C and for this reason they should be taken together. Bioflavonoids are effectively used in the treatment of sport injuries as they are pain relieving. Green tea is a product made from the Camellia sinensis plant. It can be prepared as a beverage, which can have some health effects. Or an "extract" can be made from the leaves to use as medicine. Green tea is used for its antioxidant properties, to help fight mental and physical fatigue, its general health enhancing properties, in the fight against cancer, help to prevent blood clotting tendencies, lower blood cholesterol levels and the regulation of blood sugar levels. It is also used in weight loss programs, since it is helpful to those individuals busy with weight loss. It contains various compounds such as catechin, epigallocatechin, flavonoids, bioflavonoids, fluoride, gallic acid, polyphenols, tannin, theophylline, vitamin C as well as a small amount of caffeine. Lycopene is a naturally occurring chemical that gives fruits and vegetables a red color. It is one of a number of pigments called carotenoids. Lycopene is found in watermelons, pink grapefruits, apricots, and pink guavas. It is found in particularly high amounts in tomatoes and tomato products. People take lycopene for preventing heart disease, "hardening of the arteries" (atherosclerosis); and cancer of the prostate, breast, lung, bladder, ovaries, colon, and pancreas. Some people also use lycopene for cataracts and asthma. Methionine is sulfur containing essential amino acid and belongs to a group of compounds called lipotropics - the others in this group include choline, inositol, and betaine. It is important in the process of methylation where methyl is added to compounds as well as being a precursor to the amino acids cystine and cysteine. The amino acid methionine is also a great antioxidant as the sulfur it supplies inactivates free radicals. It may also be used to treat depression, arthritis pain as well as chronic liver disease - although these claims are still under investigation. Some studies have also indicated that methionine might improve memory recall. Glutamic acid, a non-essential amino acid and is synthesized from a number of amino acids including ornithine and arginine. It is an important excitatory neurotransmitter, and glutamic acid is also important in the metabolism of sugars and fats. It helps with the transportation of potassium across the blood-brain barrier, although itself does not pass this barrier that easily. It also shows promise in the future treatment of neurological conditions, ulcers, hypoglycemic come, muscular dystrophy, epilepsy, Parkinson's, and mental retardation. Lysine is an essential amino acid and is a basic building block of all protein. It is required for growth and bone development in children, assists in calcium absorption and maintaining the correct nitrogen balance in the body and maintaining lean body mass. Furthermore it is needed to produce antibodies, hormones, enzymes, collagen formation as well as repair of tissue. Since it helps with the building of muscle protein, it is useful for patients recovering from injuries and recovery after operations, and there might be use in lysine to help maintain healthy blood vessels. Cystine is a crystalline, sulfur-containing amino acid, formed from two molecules of the amino acid cysteine.Required for proper vitamin B6 utilization and is also helpful in the healing of burns and wounds, breaking down mucus deposits in illnesses such as bronchitis as well as cystic fibrosis. Cysteine also assists in the supply of insulin to the pancreas, which is needed for the assimilation of sugars and starches. It increases the level of glutathione in the lungs, liver, kidneys and bone marrow, and this may have an anti-aging effect on the body by reducing age-spots etc. It has been shown as it may be effective in preventing hangovers, as well as preventing liver and brain damage. Carnitine tartrate is the supplement form of carnitine, a substance that plays a role in energy production. Carnitine is found in almost all of your body's cells and is particularly concentrated in skeletal tissue. It plays a crucial role in helping your body burn, or oxidize, fat for fuel. So that our body can use fat as an energy source, carnitine transports long-chain fatty acids into specialized fuel manufacturing centers called mitochondria. Once inside, the mitochondria can burn the fatty acids to produce energy. In addition, carnitine transports toxic compounds out of the mitochondria to prevent accumulation. B vitamins are used in the body individually to help release energy from food. They are also of extreme importance to the nervous system. B vitamins are required by the metabolic pathways that generate the energy. Every system in the body depends on these vitamins for their role in energy production, and a deficiency of even a single B vitamin can have widespread and serious health consequences. Deficiencies of B complex vitamins are too numerous to mention here, but the most serious consequences include heart disease (B6, B12 ), depression, neuropathy, high cholesterol, cataracts, atherosclerosis, osteoporosis and fatigue to name only a few. Inositol is a naturally occurring nutrient found in various forms, the most common being myo- inositol. It is found in phospholipids which function as cellular mediators of signal transduction, in metabolic regulation, and growth. Inositol plays an important part in the health of cell membranes especially the specialized cells in the brain, bone marrow, eyes and intestines. The function of the cell membranes is to regulate the contents of the cells, which makes effective functioning possible. Choline's metabolism is closely interrelated to that of methionine, and methyl-folate, yet choline is at times treated by some nutritional specialists as a stepchild in nutrition. Choline assists in controlling weight as well as cholesterol levels, keeping cell membranes healthy and in preventing gallstones. It is also most useful in the maintenance of the nervous system, assisting memory and learning, and may help to fight infections. Vitamin E is an essential fat-soluble vitamin that includes eight naturally occurring compounds in two classes designated as tocopherols and tocotrienols. Vitamin E is an effective chain-breaking, lipid-soluble antioxidant in biological membranes, and aids in membrane stability. One of the most important functions of this vitamin is its antioxidant properties. Vitamin A and carotene can be obtained from either animal or vegetable sources. Vitamin A is required for night vision, and for a healthy skinIt is required for development and maintenance of the epithelial cells, in the mucus membranes, and your skin, and is important in the formation of bone and teeth, storage of fat and the synthesis of protein and glycogen. Vitamin K (phylloquinone) can be produced in the intestines and this function is improved with the presence of cultured milk, like yogurt, in the diet, Vitamin K is classified as a fat-soluble vitamin. Vitamin K is found in nature in two forms - K1, also called phylloquinone, is found in plants and vitamin K2, also called menaquinone, which can be synthesized by many bacteria. Vitamin K3, menadione, is a synthetic form of this vitamin which is manmade.Vitamin K is used in the body to control blood clotting and is essential for synthesizing the liver protein that controls the clotting. It is involved in creating the important prothrombin, which is the precursor to thrombin - a very important factor in blood clotting. It is also involved in bone formation and repair. In the intestines it also assists in converting glucose to glycogen, this can then be stored in the liver. There are some indications that Vitamin K may decrease the incidence or severity of osteoporosis and slow bone loss. Calcium is a mineral important for strong bones and teeth. Too little calcium can lead to the bone conditions rickets and osteoporosis. Calcium also has a role in blood clotting and the regulation of muscle contractions including the heartbeat. Copper is also needed in relatively small amounts; some discussions are under way on the optimum need of this mineral. Copper is required in the formation of hemoglobin, red blood cells as well as bones, while it helps with the formation of elastin as well as collagen - making it necessary for wound healing. Iron is essential element carrying oxygen, forming part of the oxygen-carrying proteins - hemoglobin in red blood cells and myoglobin in muscles. It is also a component of various enzymes and is concentrated in bone marrow, liver, and spleen. The production of hemoglobin and myoglobin (the form of hemoglobin found in muscle tissue) requires this nutrient. It is also needed for the oxygenation of red blood cells, a healthy immune system and for energy production. Manganese is thought to also help neutralize free radicals as well as being of assistance in preventing diabetes and needed for normal nerve function. 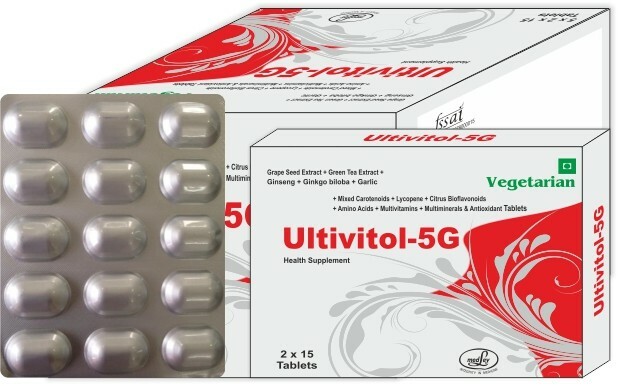 Manganese is also indicated in stimulating growth of the connective tissue and is also thought to be of importance in brain functioning. Silicon is used to keep bones, cartilage, tendons and artery walls healthy and may be beneficial in the treatment of allergies, heartburn and gum disease, as well as assisting the immune system. It is also required by the nails, hair and skin to stay in good condition and is useful in counteracting the effects of aluminum. Silicon levels drop as we age, and it might therefore be beneficial as an anti- aging component in our diets. Zinc is one of the minerals which is necessary for a healthy immune system, and is also of use in fighting skin problems such as acne, boils and sore throats. It is further needed for cell division, and is needed by the tissue of the hair, nails and skin to be in top form. Zinc is further used in the growth and maintenance of muscles. It is found in several foods including nuts, dried beans and peas, soybeans, grains, and chocolate. The body needs nickel, but in very small amounts. Nickel is a common trace element in multiple vitamins. Nickel is effective in increasing iron absorption, preventing iron-poor blood (anemia), and treating weak bones (osteoporosis). Nickel is considered a trace mineral, or micromineral. Vanadium supplements are used as medicine. Vanadium is effective in treating diabetes, low blood sugar, high cholesterol, heart disease, tuberculosis, syphilis, a form of "tired blood" (anemia), and water retention (edema); for improving athletic performance in weight training; and for preventing cancer. Vanadium is a trace mineral that is needed by the human body in small amounts. It is commonly found in vegetables and seafood. The presence of vanadium in the brain inhibits cholesterol from forming in the blood vessels. Vanadium is active in many chemical reactions that take place in the body. Tin is considered a trace mineral, or micromineral. It is found in small amounts in our body and is believed to play a part in our overall health and bodily processes. Tin is found in human tissues and in the greatest amounts in the supra-renal glands, liver, brain, spleen, and thyroid gland. There is not a lot of information about tin's role in the human body. In animal studies, it has been shown that a deficiency of tin contributes to poor growth and hearing loss. It has shown some positive benefits for depression, fatigue, pain, skin problems, and digestion.